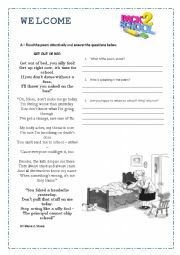 This is a pairwork worksheet to learn 10 body idioms. I have just finished it to use next September with 9th grade students (A2+/ B1). Hope it is useful. 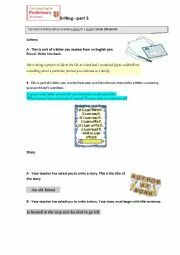 The first worksheet of 3 to prepare my students for PET for schools wrting exercises. I�ve prepared this guide to help my students improve their speaking skills. They studied before an oral evaluation and said it was quite useful. Hope it can help your students too. 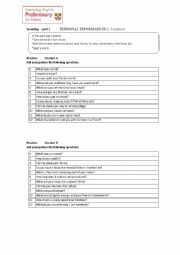 The second worksheet of 3 to prepare my students for PET for schools wrting exercises. I love this poem by Diana Shore and this year I used it for my first lesson to get everyone in a good mood. 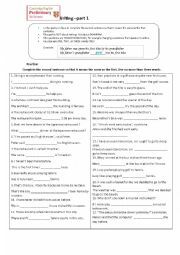 I�ve also used it so my students could learn how to use the monolingual dictionary. Hope you find it useful. A speaking interaction exercise for my 11th form pupils on the topic consumerism. 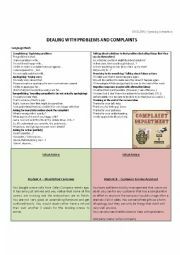 There are 5 situations of complaints, each pair must create the dialogue according to the situation. 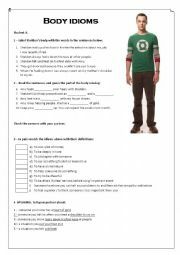 It�s a collection of complaints I have adapted from different course books. 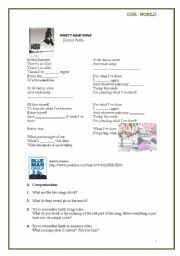 The third worksheet of 3 to prepare my students for PET for schools wrting exercises. 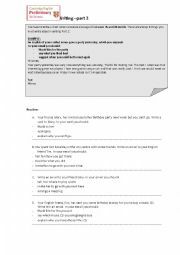 Some worksheets to prepare Portuguese students for this year�s PET for schools exams. It�s material I�ve gathered from several sources, rearrange it and create some myself. 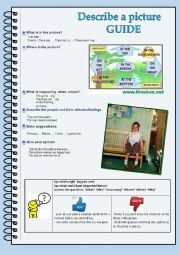 This is the 2nd page of a set of 2 I gave to my secondary students to introduce the topic environment. An exercise where our students practise writing while they learn about an American Holiday. This is the 1st powerpoint of a set of 2 I used to discuss work with secondary students.In Portugal we have to discuss sexual education, so the ppts are used to discuss: gender discrimination in the workplace and sexual harassment. This is the 2nd ppt on the topic of discrimination and sexual harassment. My students watched the film - Precious - to discuss child abuse and teenage pregnancy. I prepared this powerpoint as pre-viewing activity. Hope it�s useful.